BE MY VIA SPIGA VALENTINE Facebook Contest. 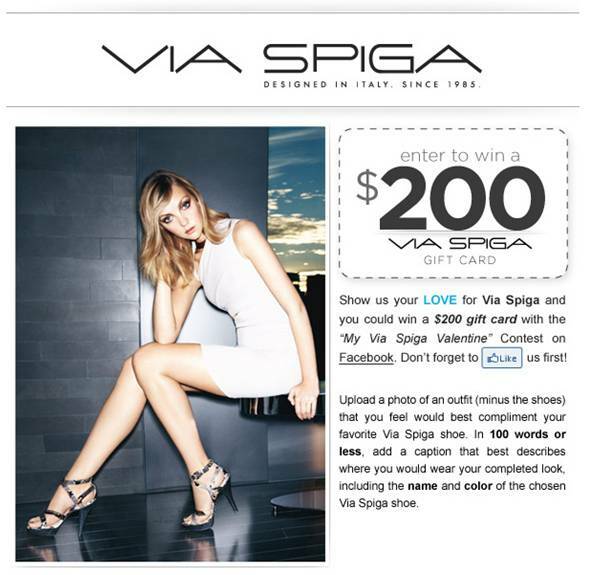 Upload a picture of an outfit and select a pair of Via Spiga shoes to complete the look. 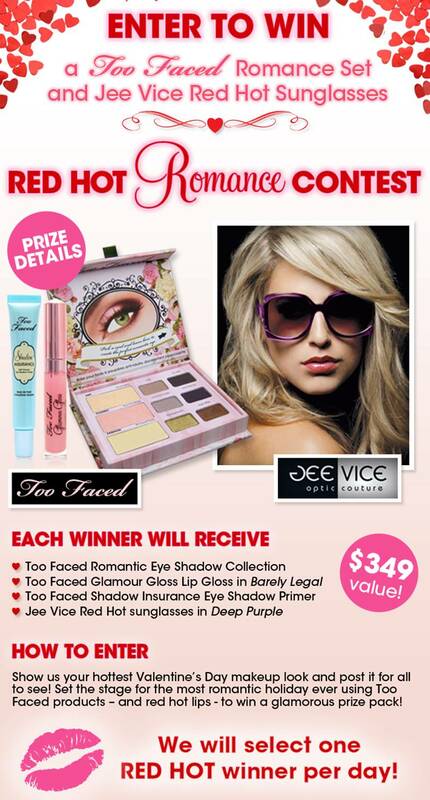 Then, write a caption describing where you would wear your look for a chance to win a $200 Via Spiga gift card. Be sure to follow us on Facebook & Twitter!